Disney’s Pinocchio is a masterpiece of children’s animation that is famous the world over. But, no surprise, the original story is darker and more nuanced than the Disney version. That stands to reason – after all, the whole idea of a puppet wanting to be a “real boy” and coming to life is at it’s base pretty creepy. Disney is also known for giving Grimm’s fairy tales the same treatment, to the point that the happy, sanitized versions are far better known than the originals. But now several projects are underway that hope to bring a darker, more authentic version of the Pinocchio story to the screen. The filmmakers hope to capitalize on a similar approach to that taken by Tim Burton in his latest rendition of Alice in Wonderland, which turned out to be a huge hit. Jereremy Thomas, the Oscar-winning British producer, is making a screen version with Matteo Garrone, the Italian director of acclaimed mob drama Gomorrah, while Robert Downey Jr is developing a separate project with American Beauty producer Dan Jinks. Guillermo del Toro, the Pan’s Labyrinth director, has also long been planning his own ambitious stop-motion production, re-imagining Pinocchio as an anti-fascist story. Although he announced last week that he has so far been unable to finance it, he has been collaborating with the Jim Henson Company, and is still hoping to make it happen. Chris Weitz, who wrote Disney’s Cinderella remake, is reportedly working on another project. I have no idea if any of these productions will be as successful as the Burton film, but I wish the producers luck. It’s about time that versions of these stories were widely released that retain the original tone and context, as opposed to sanitized animated versions made “safe” for small children. The original texts are not necessarily the fun, happy stories that they have generally been adapted into, and retaining and if necessary restoring the original content is important. Otherwise, much of it could be lost. Can’t sleep, clowns will eat me. Can’t sleep, clowns will eat me. Can’t sleep, clowns will eat me. Can’t sleep, clowns will eat me. Can’t sleep, clowns will eat me. Can’t sleep, clowns will eat me. Can’t sleep, clowns will eat me. Can’t sleep, clowns will eat me. Can’t sleep, clowns will eat me. Can’t sleep, clowns will eat me. Can’t sleep, clowns will eat me. Can’t sleep, clowns will eat me. Can’t sleep, clowns will eat me. Can’t sleep, clowns will eat me. Can’t sleep, clowns will eat me. Can’t sleep, clowns will eat me. Can’t sleep, clowns will eat me. Can’t sleep, clowns will eat me. Immortal celebrities are now a thing. As the information age allows us to digitize more and more images, and advanced search engines allow us to comb through them, we can identify photographs and portraits from the past that look like well-known people from the present day. Paranormal should never be the first explanation for these phenomena, since the whole point of paranormal events is that they are by nature unlikely and unusual. On the other hand, some of these likenesses from the past are awfully close their modern-day counterparts. 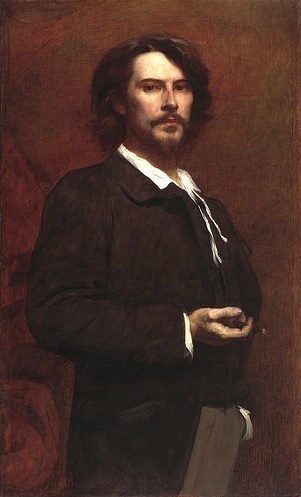 Keanu Reeves has been the subject of immortal speculation for some time. There’s even a whole website dedicated to exposing the actor’s immortal nature and previous identities, keanuisimmortal.com. The site notes that he barely seems to age, and lists his dopplegangers from the past. There are only two so far, and one of them is kind of a stretch, but still. According to the website, these are Keanu’s confirmed identities through the ages. Aside from the striking resemblance, the account of the death of Charlemagne rise suspicion.First of all he crowned his son just before dying (just like he knew he was going to “die”) secondly his burial was rushed during cold weather this is a clear hint that they needed to bury a body to not rise any suspicion. Aside from the striking resemblance, there are sevaral facts that without any reasonable doubt shows that Paul Mounet is Keanu Reeves. He was a doctor first and then an actor, the rise of the medical science could’ve been a problem to an immortal, by becoming a baron of the medicine he gained protection from any kind of inquiry about his everlasting appearance. Paul Mounet allegedly died in 1922 although his body was never found. Charlemagne is probably a stretch. The main point of resemblance is that he has a similar long, oval face, but tons of people look like that. Also, we have a number of conflicting portraits of him, and when that happens it’s easy to look through them and pick the best match. On the other hand, take a look at the portrait accompanying this article. That’s not a promo piece of Keanu Reeves from Bram Stoker’s Dracula or something. That’s Paul Mounet, and the resemblance is uncanny. If his body was really never found, maybe he lived on after all. Filmmaker and horror icon George Romero, creator of the modern zombie, has passed away today at the age of 77. Romero’s Night of the Living Dead, released in 1968, completely redefined the zombie genre. It spawned a long list of sequels and many imitators, who picked up the film’s “zombie rules” and ran with them. George Romero, the legendary filmmaker who changed the horror world forever with Night of the Living Dead and its sequels, has died of lung cancer at the age of 77. Romero will be forever remembered for his iconic contribution to horror, not just through his birth of the zombie genre as we know it today in 1968’s Night of the Living Dead and its litany of sequels all the way up to 2009’s Survival of the Dead, but for his work on Creepshow, Monkey Shine, The Dark Half, and dozens of other film and TV projects. Romero was still working even this year, recently unveiling plans for a new of the Dead film about NASCAR zombies. Romero is survived by his wife and three children, and our thoughts go out to his family at this sad time. George Romero is entirely responsible for the modern zombie myth that has given rise to pub crawls and apocalyptic musings. He invented everything from the slow, stiff movements to the rotting appearance to the craving for brains and the infectious bites. 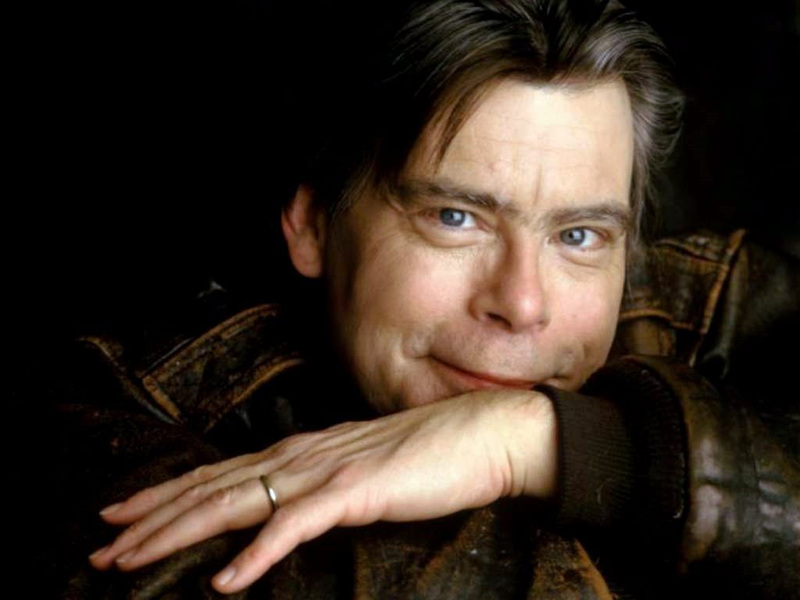 He was a singular, brilliant talent in the horror genre, and he will be missed. Here’s an item of interest to horror movie buffs everywhere. A piece of the original cabin that was used for filming Evil Dead 2 is now for sale on ebay. The cabin was constructed is 1986 for exterior shots that couldn’t easily be done with artificial sets. In 2016, what was left of the broken-down cabin was removed from the property in the woods. And now, if you’re so inclined, you can buy a piece of it. “This is the actual exterior wall from the front upper left side of the original Evil Dead II Cabin,” the ebay listing says. “In relation to the movie, this piece would have been above the clock and cellar door. The wall is fully intact. It is approximately 16 feet long and pretty heavy.” The piece was retrieved from the woods outside of Wadesboro, North Carolina in April of 2016 by Evil Dead fan Mike Pasquale, who runs the Evil Dead Workshed website. The Evil Dead 2 production crew rolled into Wadesboro in the summer of 1986. They set up shop in the empty J. R. Faison Junior High School building, where sets were constructed for interior shots of the cabin where Ash (Bruce Campbell) would face off against the grotesque deadites unleashed by incantations from the Necronomicon. The school wouldn’t cut it for the exterior shots, though, so the cabin, as well as the work shed where Ash hacks up his possessed girlfriend with a chainsaw, were built in the woods outside of town. In 2016 the decision was made to clear out the woods. They planned to remove trees for firewood and drastically change the landscape, which would result in the destruction of the Evil Dead set pieces. Pasquale was given permission to recover as much of it as possible. He spent two days in the woods with a friend for what he called Operation: Evil Dead Uproot, labeling every plank and frame board, dismantling and loading anything salvageable into a 24-foot moving truck. If you’re interested in owning a piece of movie history, the ebay listing can be found here. The auction ends in four days. The auction description does not mention whether any hungry zombies or remnants of magical curses from the Necronomicon come with the wall section. Monster fans rejoice! Following the recent remake of The Mummy, Universal Pictures has plans to release remakes of its most famous classic horror films. They will be released over the next few years, and will include The Bride of Frankenstein, Dracula, and The Wolf Man among others. 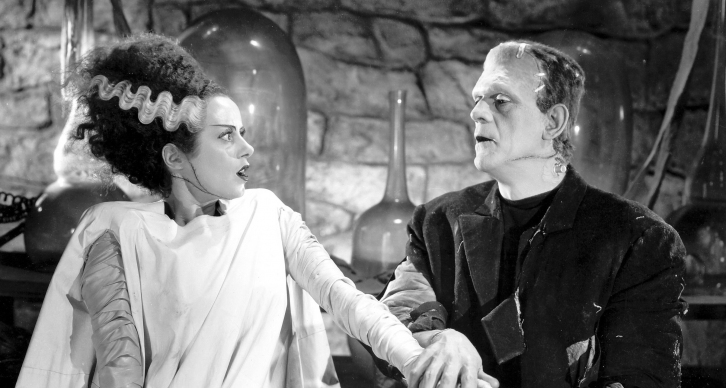 We already know about The Bride of Frankenstein being next at bat on February 14, 2019 with Beauty and the Beast’s Bill Condon directing from a screenplay by Jurassic Park’s David Koepp. Angelina Jolie and Javier Bardem are expected to star. And Johnny Depp has officially inked a deal to headline The Invisible Man and Dwayne “The Rock” Johnson is rumored to transform himself into The Wolfman. Now Universal has announced the next round of reboots to be interwoven into the family fold with plans to produce updated versions of Dracula, The Phantom of the Opera and The Hunchback of Notre Dame. If you paid close attention to some of The Mummy trailers you can see what appears to be Dracula’s skull in a jar inside Dr. Jekyll’s Prodigium, and what seems to be a fin from The Creature From The Black Lagoon so at least one of these titles was anticipated, but the other pair is a pleasant surprise. Phantom (1925) and Hunchback (1923) were two of the first horror movies Carl Laemmle ever produced for Universal, both starring “The Man Of A Thousand Faces,” the legendary Lon Chaney. They will join the previous mention films in this expanded lineup all under the Dark Universe umbrella. Whether or not Universal’s Dracula reboot or spin-off will be based on the 2014 Luke Evans film, Dracula Untold, is yet to be determined. It sounds like Universal has taken a cue from the success of the Marvel Universe films and plans to do something similar with its horror catalog. So assuming that all these remakes are well-done, monster fans have a lot to look forward to. The Bride of Frankenstein is scheduled to open next February. There’s no word yet on release dates for any of the others, but we’ll keep you all posted as soon as they are announced.